To start out their Day of The Dead Ball, the band Devotchka beheaded Mitt Romney as a sacrifice to the Aztek gods. Fans cheer the act. 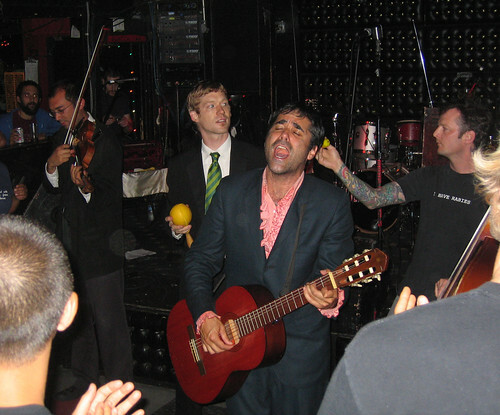 DeVotchKa is a four-piece multi-instrumental and vocal ensemble. They take their name from the Russian word devochka (девочка), meaning “girl”. The quartete is based in Denver, Colorado.